My apologies, dear blog readers, for the lack of posts. I’ve been consumed with all things wedding, it being 10 days away and all. But let’s not dwell on that. 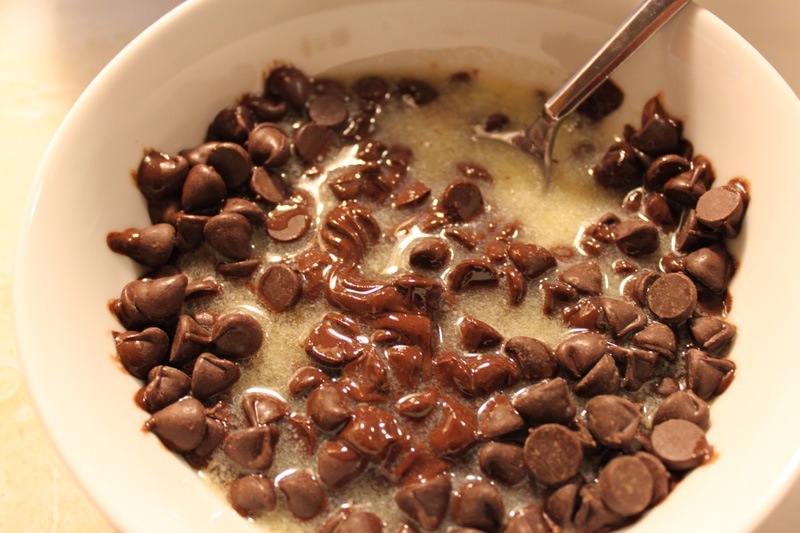 Let’s move on to my new favorite dessert hybrid recipe, shall we? 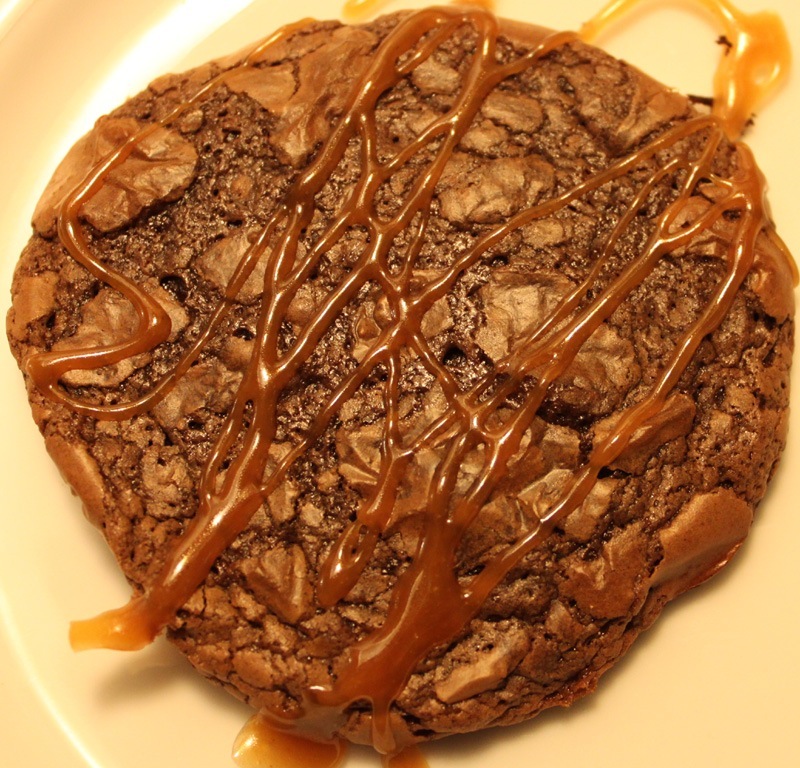 What’s better, brownies or cookies? Ummm. Shoot. Well what if I told you that you could have both, at the same time? True decadence! 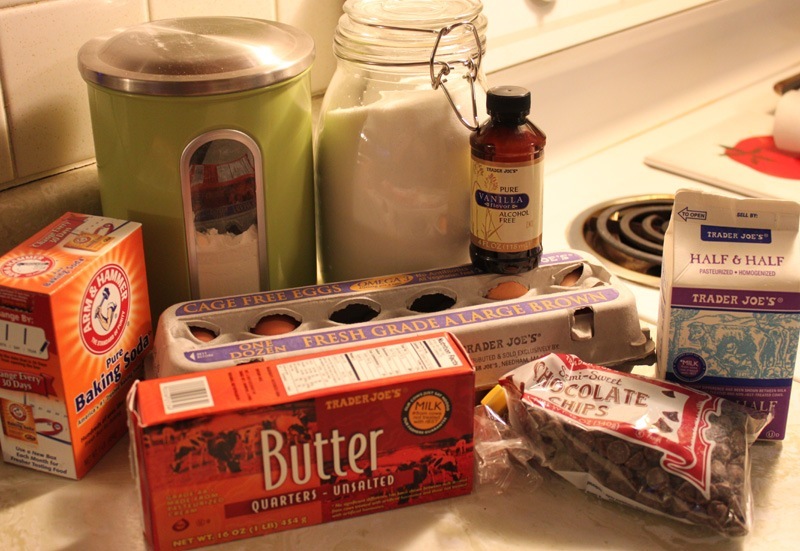 I was browsing the archives over at Joy The Baker to look for something delicious to make for my pal Vickie’s Royal Wedding party a few weeks back and found the most perfect chocolate brownie cookies recipe. I tweaked it a bit, added a caramel drizzle, and here we are. You’ve got to make these. They are truly brownies in cookie form. I’m drooling now just thinking about them. 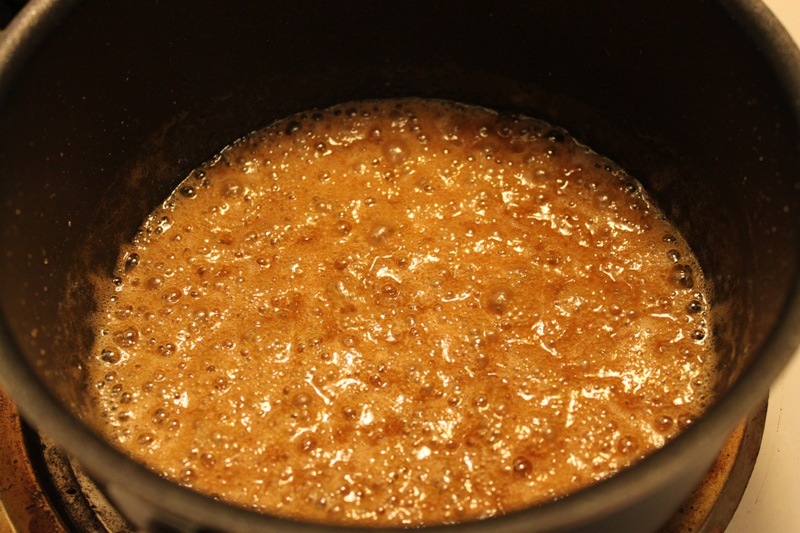 Caramel drizzle: 1/2 cup water, 2.5 tbsp. agave sweetener, and 2 tbsp. sugar. 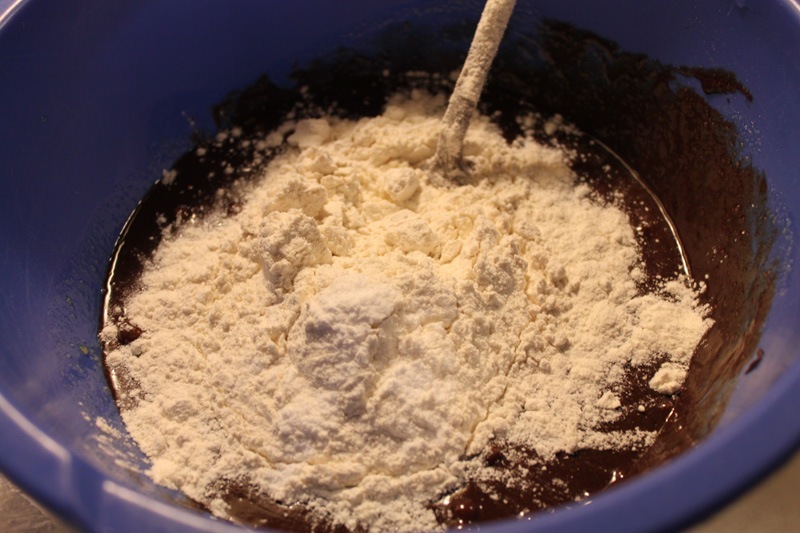 Method for making it is here. 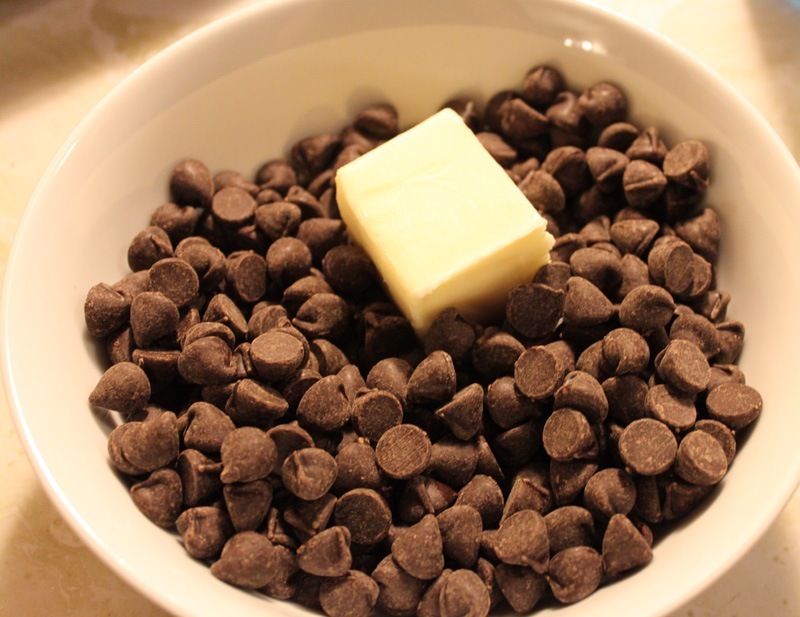 First, melt your chocolate and butter. In the microwave is fine. 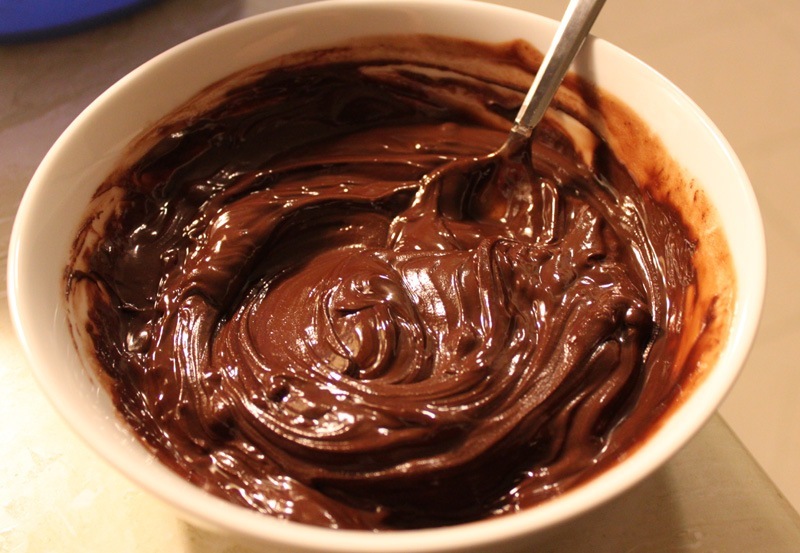 My preferred method is to melt the butter and then stir thoroughly until the chocolate melts around it and it becomes incorporated. Any longer in there and you’ll scorch your chocolate. Not good! 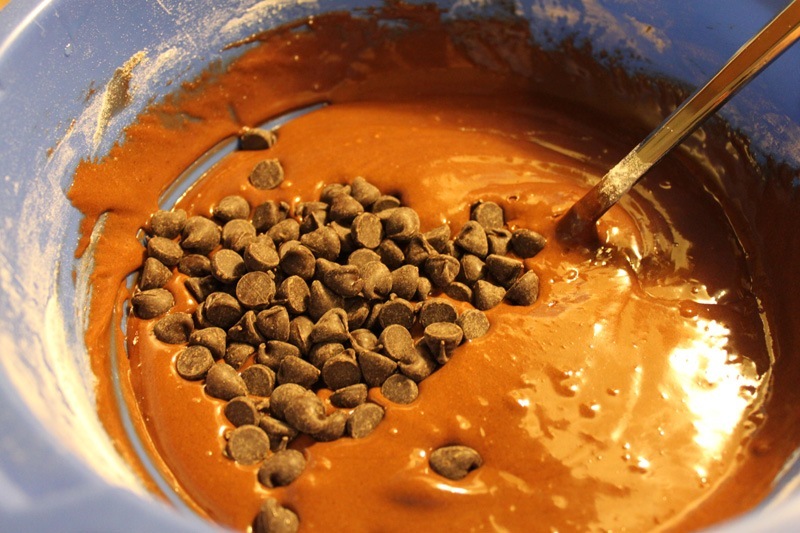 Combine your chocolate, dry ingredients, and then your additional chocolate chips. 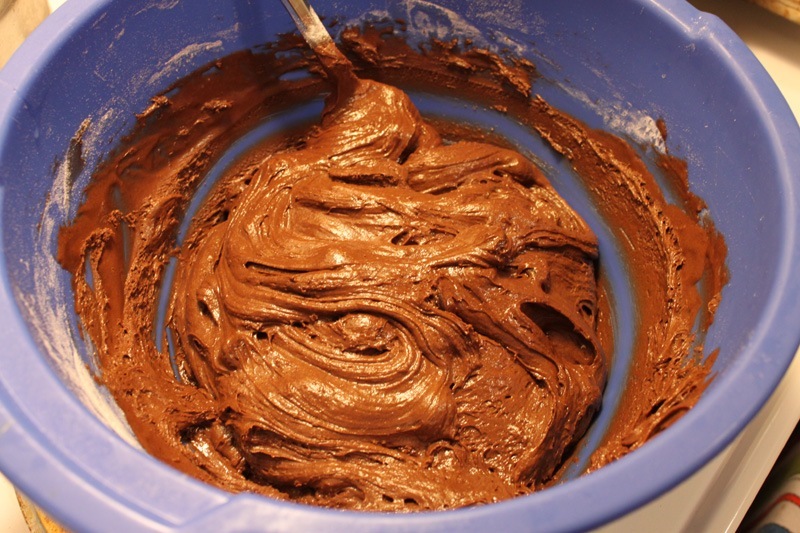 You will have the most perfect looking (and tasting) brownie batter. But it’s cookies! 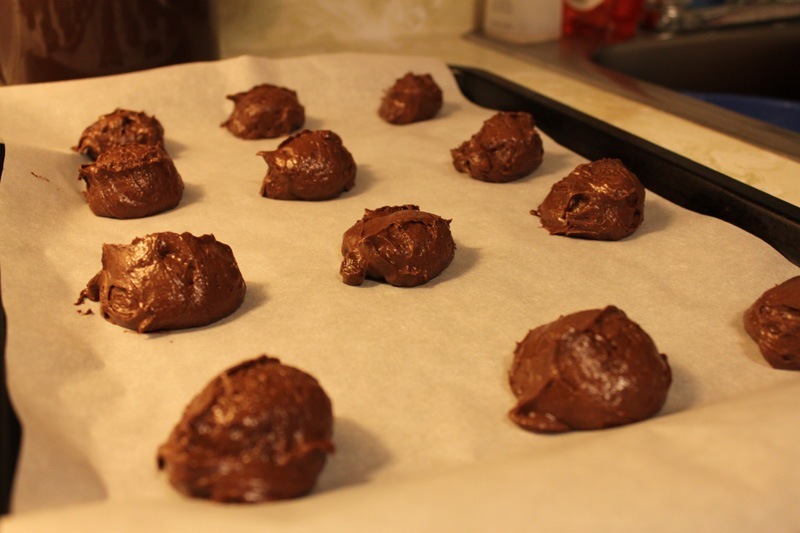 Scoop out on to a parchment paper lined baking sheet (I used 2). Bake at 325 degrees for about 12 minutes, rotating your pans halfway through. 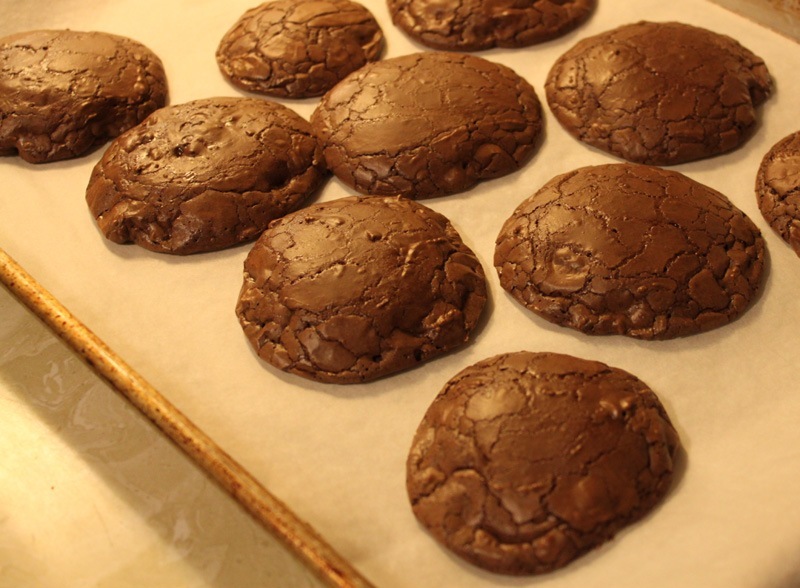 Your cookies will come out soft, gooey, and with that perfect brownie crackle pattern on top. 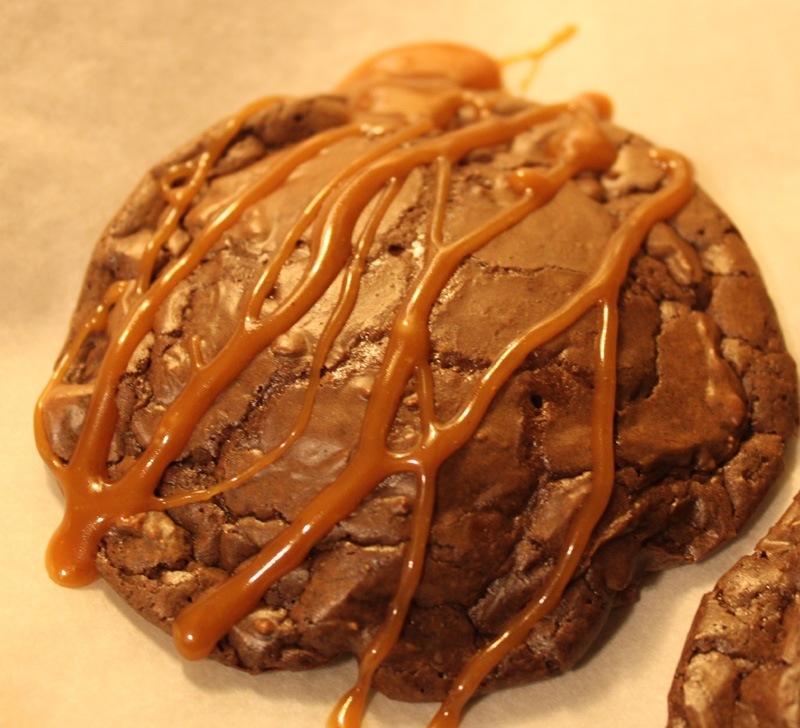 As your cookies cool, make your caramel. As noted, the method for making it is here. 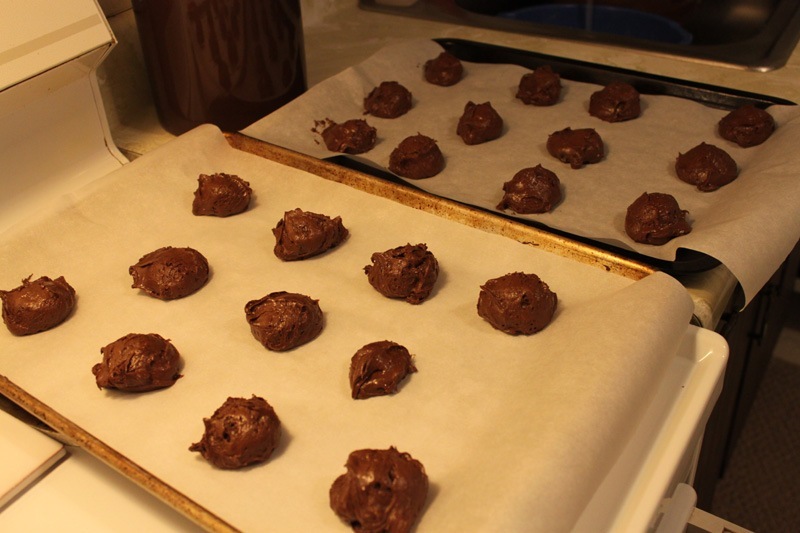 Drizzle on top of your cookies still on the parchment paper. It’s way easier to clean up that way. 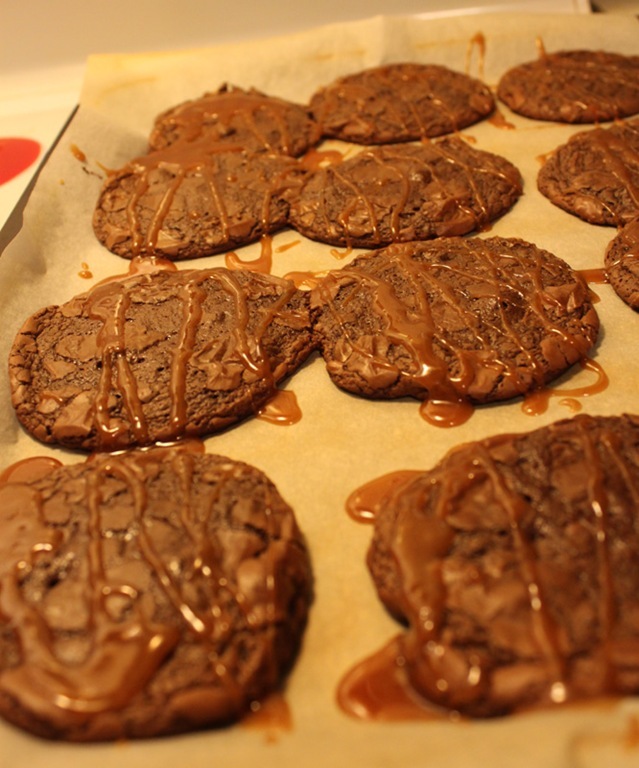 I liked these cookies with and without the caramel. But with the caramel was much more decadent. Which way would you prefer these? Prev Opening Day at SoWa! When I ate this cookie, my mouth thanked me for one of the greatest experiences my mouth has ever known. With the caramel! Great recipe. I must agree – and vote for the caramel one too. 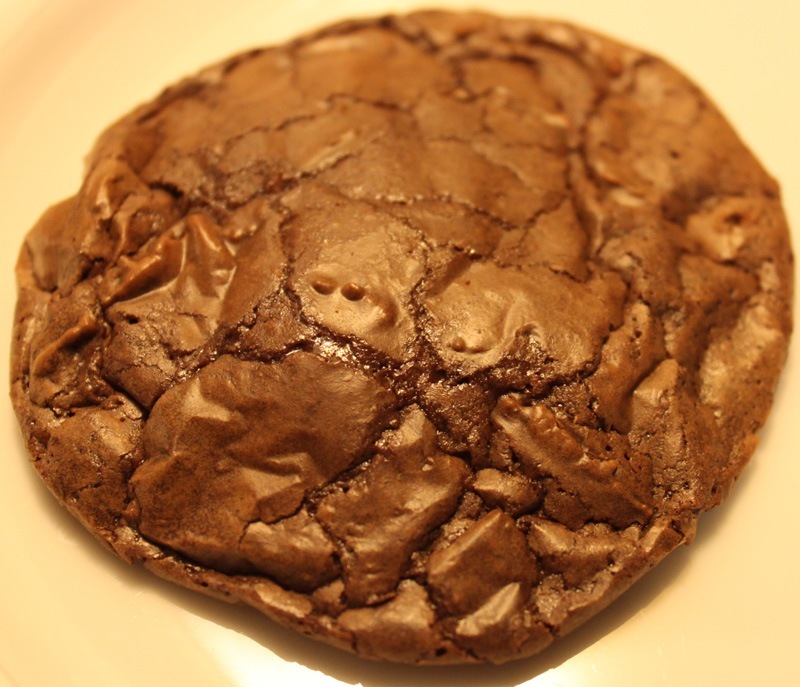 I love that these are both a brownie and a cookie. Brilliant!